[Title of Show]- yes, that's the name- tells the story of its own creation. Hunter and Jeff are two struggling writers in New York that decide to write a musical based on the process of writing that very musical. After getting their actress friends Heidi and Susan and pianist Larry on board, they get to work and end up on a journey that tests their creative abilities, their friendships, and faith in their own abilities. [Title of Show] recieved a Tony Award nomination for Best Book of a Musical in 2009. 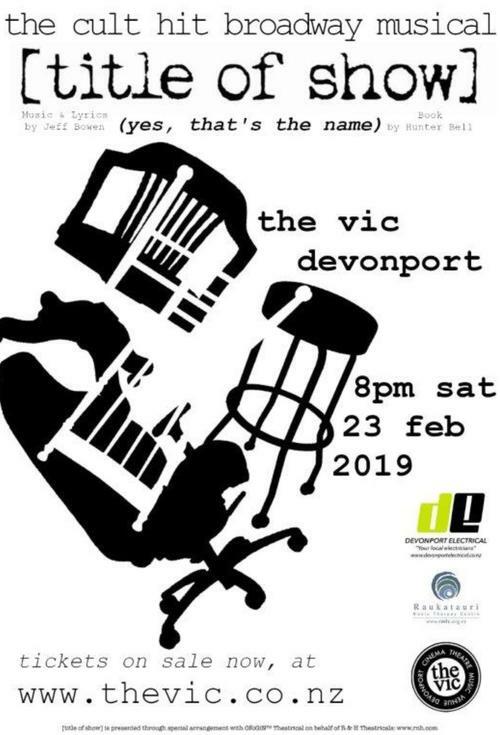 All income from ticket sales for this student-run production (which is proudly sponsored by Devonport Electrical www.devonportelectrical.co.nz) will be donated to Raukatauri Music Therapy Centre. For information about RMTC, visit www.rmtc.org.nz.